Spring — finally! — and with it, a renewed appreciation for beauty and promise. 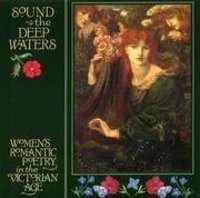 Tickle your eyes and ears with the soul-stirring Sound the Deep Waters: Women’s Romantic Poetry in the Victorian Age. Editor Pamela Norris has collected verse from both familiar wordsmiths (the Brontë sisters, Emily Dickinson, Christina Rossetti) and those equally deserving but less renown. Each poem in this slim keepsake volume is mirrored in a lush illustration of Pre-Raphaelite painting. Grouped into timeless themes which celebrate the loves, delights, dreams, and sorrows of life, the lyrical phrases speak to kindred spirits as well as to quiet contemplation. Snuggle into a window seat and discover modern truths in classic words and vibrant portraits.